Beds Cycle Routes 5 - The Ouse Valley at Bromham Cycle RouteThis lovely ride through the Ouse Valley visits several delightful limestone villages and offers splendid views over the River Ouse. Start / Finish point: This circular ride can begin from Bedford or from the car park at Bromham Mill. Start Nat GR: TL015507. This lovely ride through the Ouse Valley visits several delightful limestone villages and offers splendid views over the River Ouse. How to get there by car/Parking: Bedford is located on the junction of the A6, A421 and A428, about 15 miles north-east of Milton Keynes and 18 miles north of Luton. It is around 40 miles north of London and is reached via the A421, from junction 13 of the M1 motorway. 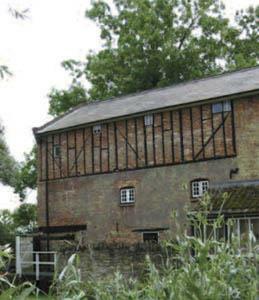 There are various car parks in Bedford town centre; if starting from Bromham Mill, there is a visitor's car park at the mill.